The below instructions are exact for Windows 10, but they are very similar in Windows 7, too. 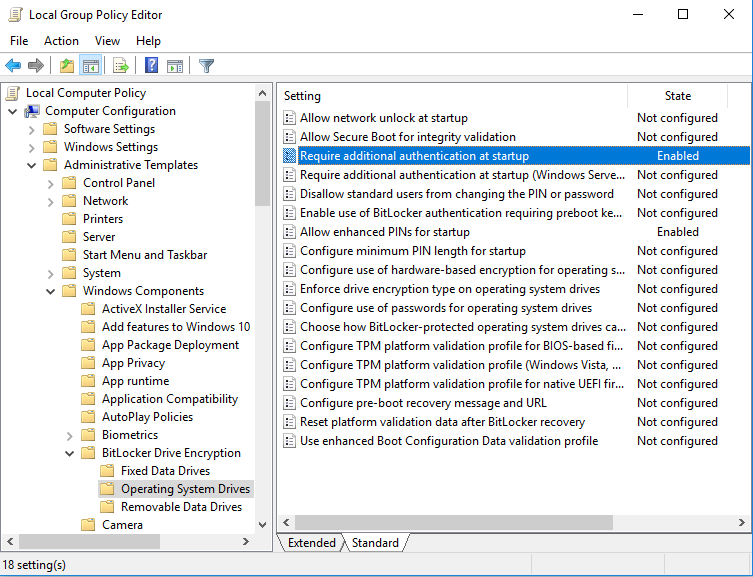 Local Computer Policy > Computer Configuration > Administrative Templates > Windows Components > Bitlocker Drive Encryption > Operating System Drives. Then reboot. Now you can right-click on your system drive and select Set Bitlocker PIN or Change Bitlocker PIN (I forgot to take a screenshot of this last step, so I’m not 100% how exactly this looked like, but it should be obvious) from the pop-up menu. Please leave a message if this was helpful. If your laptop has been set up to use Bitlocker, by your company or yourself, you should be very cautious when playing with your BIOS settings. 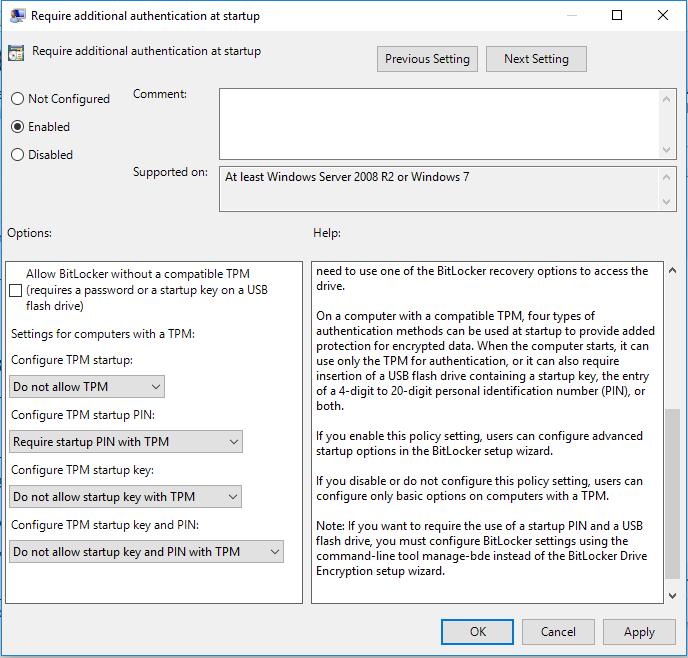 Bitlocker considers BIOS settings changes a potential security breach, as somebody could e. g. change boot order to boot from an external media to try to fiddle with the boot mechanism set up on your hard drive or SSD. This is why when you change something in the BIOS or just boot from an external drive, such as a thumb stick, Bitlocker will prompt you for your recovery code. To prevent this you just have to disable the so-called “protector” for your boot drive. Only then should you change BIOS settings or boot from a drive other than your normal boot drive. If this helped, I’d appreciate a comment from you here on my blog.